For reasons that escape me, and baffle everyone – myself included – I managed to pass out of teen-hood without having ever read a Diana Gabaldon novel. This is shocking and bewildering because the Outlander series is exactly the kind of epic historical sprawl that I devoured in high school. My best guess as to how this situation came to pass is that I read the cover flap, decided that they were all about the Highland Uprising of 1745, and dismissed them out of hand. 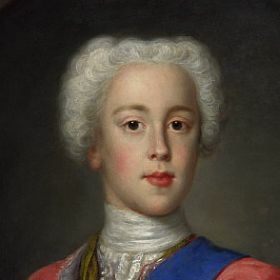 Despite the fact that I romanticize the Scots as much as the next girl, I find the Highland Uprising wildly depressing because Bonnie Prince Charlie was such an enormous tool, and not even remotely worth the loyalty he demanded and achieved. Read the rest of this entry ? I am feeling press ganged by Fall. First it was the early appearance of pumpkin spice flavored specialty items. It used to be you had to wait until September or October to get your hands on something apple caramel flavored, or spiced with pumpkin pie. This year they started appearing in July. Then on the last Sunday in August, I walked into the grocery store and was confronted with serried ranks of Halloween candy on display a precise 60 days before All Hallows Eve. Read the rest of this entry ? You are currently browsing the Monday Night Dinner blog archives for the day Wednesday, September 17th, 2014.